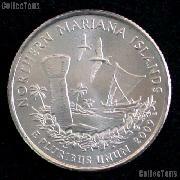 We are pleased to offer for sale this 1994-W Women in Military Service Commemorative Uncirculated Silver Dollar. This Women in Military Service Silver Commemorative Dollar was minted in 1994 and is in Brilliant Uncirculated condition. This 1994-W Women in Military Service Uncirculated Commemorative Silver Dollar was struck to honor the women serving in the different branches of the U.S. Military. There were 69,860 of the 1994-W Women in Military Service Uncirculated Silver Commemorative Dollars minted at the West Point (W) Mint. This 1994-W Women in Military Service Uncirculated Commemorative Silver Dollar is comprised of .900 silver (90% silver) and .100 copper with a diameter of 38.1mm and a weight of 26.73 grams. The obverse of the 1994-W Women in Military Service Uncirculated Silver Commemorative Dollar was designed by T. James Ferrell and features five women each representing a different branch of military service. The reverse side of the 1994-W Women in Military Service Uncirculated Silver Commemorative Dollar was designed by Thomas D. Rogers Sr. and features an image of the Women in Military Service Memorial in Arlington, VA. This 1994-W Women in Military Service Uncirculated Commemorative Silver Dollar is encapsulated and comes in the original U.S. Mint packaging with a Certificate of Authenticity (COA). This coin is a great value for the price! 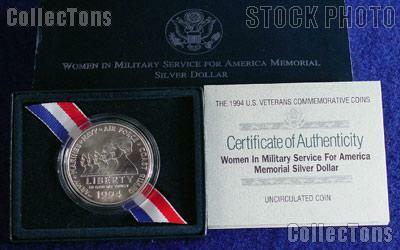 Don't miss out on this 1994-W Women in Military Service Commemorative Uncirculated Silver Dollar!